As my thesis is becoming a reality, I felt a need to reevaluate the online reference tools that are currently available and choose one I would use for the next couple of months (at least). 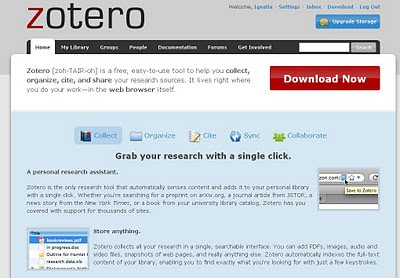 After having a closer look at Mendeley, Zotero and Endnote, I decided that Zotero would be the tool for me. But I must admit it was a close shave with Mendeley. Why? 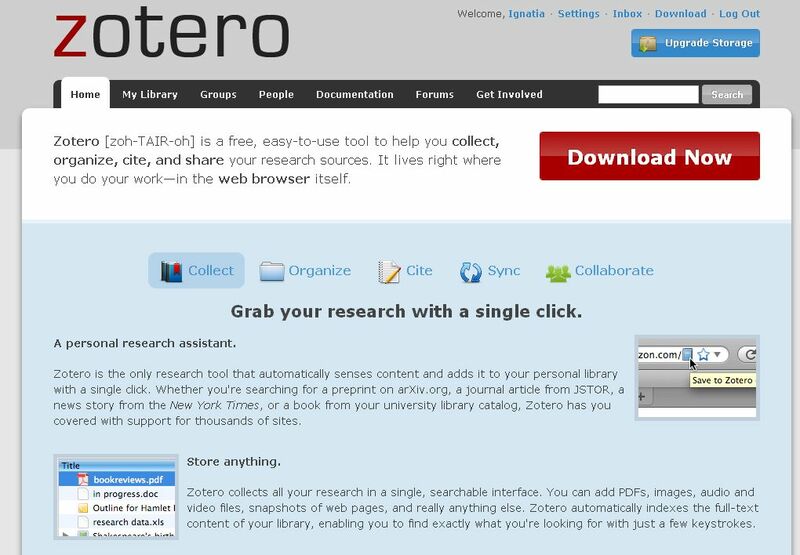 And last but not least: I would think a mobile option will be built, but in the mean time the Zotero community is posting trials with android tablets. As the economic crisis is hitting a lot of countries, the strategies to counter this crisis are quite diverse. Certain countries opt to increase education and research (e.g. Germany) and cut budgets in other areas, other countries are slicing down education/research (e.g. United Kingdom). Personally, I cannot imagine how any politician that understands the growing knowledge era can vote in favor of research/educational cuts. But then I am a firm believer that education will add to human solutions (which is not the same as that education will save us all, but .... most of us will be able to improve our own path through life). In times of need, I think you must run ahead, move forward and explore to find new horizons. In that respect I like the American adagio of looking for the new frontier. How strange is it to read on the one hand that education is changing rapidly and is in need for a new balance, while on the other hand educational research centres are - just in these times - shut down? The UK has been a knowledge bastion for centuries (just like other regions in the world), but recently some major Technology Enhanced Learning centers were closed, without alternatives being set up. Last year Becta was closed, this year CHERI, or the Centre for Higher Education Research and Information is closed. Before closing down, CHERI has published a final document that is of interest to Higher Education: "Higher Education and Society in Changing Times: looking back and looking forward." If a nation or region is in crisis, looking at succesful strategies to climb out of recessions, difficult situations, natural disasters... is a worthwhile investment. Cutting educational research downsizes chances for the weakest of any regions citizens, and a nation or region can only be as strong as its weakest members, or is this just some idealistic illusion speaking from within my heart? Html5 is the new magical solution for cross-device publications. It is all the rave for mobile developers and newbies. The amazing thing about html5 however, is that it is not really breathtakingly new. In fact, like Brian Fling (expert in mobile design, so connect to his media to stay updated) mentioned on his blogpost on html5 anatomy: "if you know HTML, then chances are you’ll understand what’s new in HTML5 in under an hour." For those of you with html5 expertise, simply take the free, online html5 course offered by W3C. But to make really beautiful html5 accessible webpages, you need to digg into Cascading Style Sheets (CSS) as well as they will allow you to produce an eye-catching look and feel. This is also at anyone's fingertips thanks to the W3C tutorial on CSS. Why is html suddenly back as the best webpage coding language? Let's be honest html is an easy coding language, as such it was put into a corner a bit, pressed away by php, asp, and other more complex coding languages. So I wondered, why did it become cool again to use html? I feel that with the rise of html5 we see a rise in specialization in instructional design. This makes room for instructional designers that are in fact no longer building designs from scratch, but who use templates and designer tools to put any content in a beautiful and accessible jacket. And ... of course html5 enables designers to come up with cross device designs, even allowing a variety of mobile phones to access material in a pleasing way (well, it is not that standardized yet, but we are getting there). If you do delve into the html5 code and you have come up with some pages, make sure to test drive them through the free W3C markup validation tool. You have two validation tools, one is for html in general: html validation markup. And one focuses on mobile html (great tool! ), which will allow you to feel confident with the coding you are providing (and that it fits specific browser needs): Mobile Validation. Last year I had the pleasure of attending DevLearn and this conference is surely worth a visit. Not only because of this years location (Las Vegas! ), but most of all because you will get the opportunity to get in touch with eLearning professionals that know how to inspire and it will elevate your eLearning expertise in just 3 days. The early registration is still open for a day, so check out this wonderful set of concurrent sessions and keynote speakers in order to decide whether you want to attend or not. When and where? November 2 - 4 at the Aria Resort & Casino in Las Vegas. There are a lot of strong concurrent sessions (on iPad use, reaching hard to get learners, mLearning, knowledge, statistics for analysing eLearning...). Register by Friday, September 16th, in order to save $100 or more with our early registration discount. Experience all the excitement, learning, and inspiration that is DevLearn for less. But hurry, there are fewer than 10 business days left to take advantage of this discount. 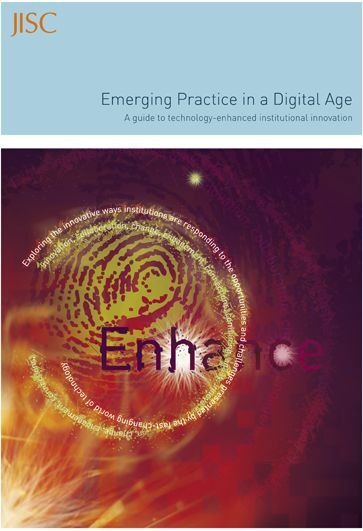 JISC, the UK agency for leadership in digital technology and learning (and also the host of the IAmLearn mail list) launched a new guide: Emerging Practice in a Digital Age: A guide to technology-enhanced institutional innovation. To augment this guide, JISC infoNet are developing a Mobile Learning infoKit with version 0.1 of this resource now available at http://bit.ly/mobilelearninginfokit. The Mobile Learning infoKit is a practical guide for educational institutions planning to implement mobile learning initiatives. At launch, it comprises a wiki-based resource collating information and guidance from JISC and others sources. It will develop to include a section on future trends, incorporate additional examples, and be made available in a variety of formats. For those interested in pedagogical principles in clinical education: get behind your computer tomorrow! Iain Doherty will discuss the pedagogical principles underlying a taught postgraduate distance course, ClinED 711 eLearning and Clinical Education. The aim of ClinED 711 is to teach clinical educators the necessary knowledge and skills to convert their own courses for flexible and distance delivery. ClinED 711 was designed to offer a personalized and authentic learning experience and Iain’s presentation will focus on how these aims were progressively realized through refining and improving the course design for ClinED 711. Whilst ClinED 711 is a specialized postgraduate course, the principles for the design and delivery of the course should be of interest to a wide audience. When: Wednesday, September 7, 2011, 11am-12pm Mountain Time (Canada) *Local times for the CIDER sessions are provided on the CIDER website. Please note that it is extremely important that you get your system set up prior to the start of the event. Make sure your Mac or PC is equipped with a microphone and speakers, so that you can use the audio functionality built into the web conferencing software. Also, the Adobe Connect platform may require an update to your Adobe Flash Player. Allow time for this update by joining the session 20 minutes prior to the scheduled presentation start time.